World Trade Center Arkansas Director of Western Hemisphere Trade Melvin Torres (second to left) stands with World Trade Center Association (WTCA) President and CEO Scott Ferguson (right of Torres) and other members of the WTCA Latin America (LATAM) region at the WTCA LATAM regional conferences. 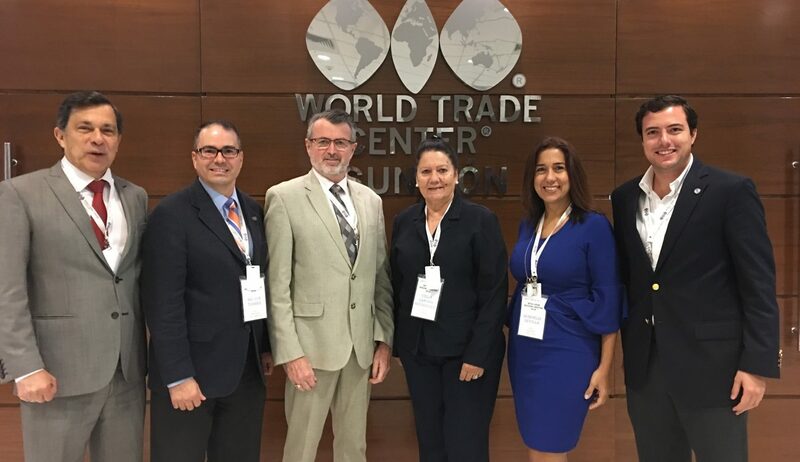 Melvin Torres, Director of Western Hemisphere Trade for the World Trade Center Arkansas attended the World Trade Centers Association’s Latin American (LATAM) regional meetings from November 13-15, 2018 in Paraguay’s capital city Asunción and Ciudad del Este to build trade promotion capacity in the region. At the meetings Torres met with government officials and directors from other World Trade Centers to enhance current trade promotion ties among Association members as well as explore opportunities for Arkansas companies in the machinery, fabrication and renewable energy sectors. The Itaipu Dam is one of the Seven Wonders of the Modern World chosen by the American Society of Civil Engineers and is the largest hydroelectric power plant in the world. It is a binational project undertaken by Paraguay and Brazil, with each country managing their respective sides on the Paraná River. Members of the World Trade Centers Association’s Latin America region stand together at the Itaipu Dam, the world’s largest generator of hydro-electric power during the regional conferences. A total of 41 trade promotion directors from a dozen countries participated in the regional conferences. 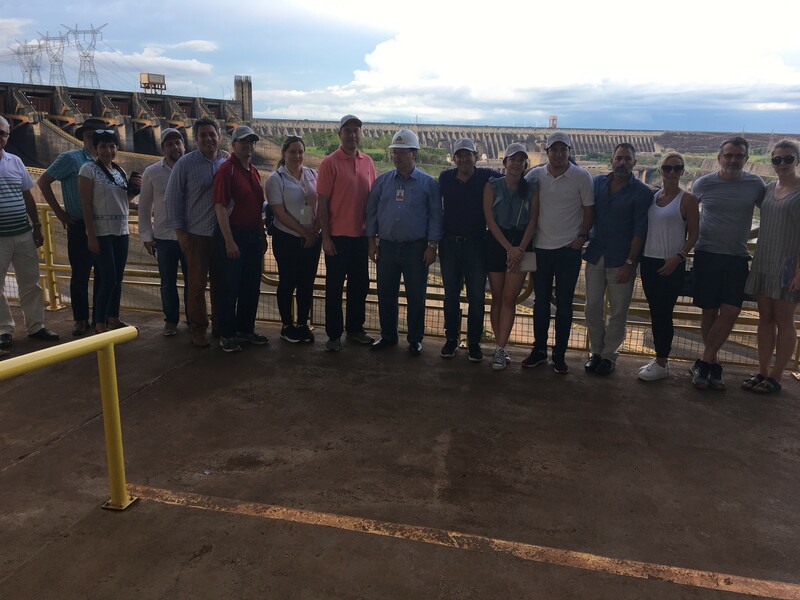 In addition to a visit to and meetings at Itaipu, Torres heard from Paraguay economic officials and worked with World Trade Centers throughout Latin America to find ways strengthen ties, enhance mutual cooperation, resource sharing and bilateral trade promotion between Centers. More than 40 representatives from a dozen countries participated in these meetings. According to the U.S. Department of Commerce, there are many reasons why American companies should consider exporting to Paraguay. These reasons include a strong demand for U.S. manufactured products (such as machinery, toys, sports equipment and mineral fuels) and a new transparency focused administration that plans to invest $25 billion in the next five years on public and electric infrastructure. Companies interested in potential opportunities in Paraguay can contact Torres at melvint@arwtc.org for more information.